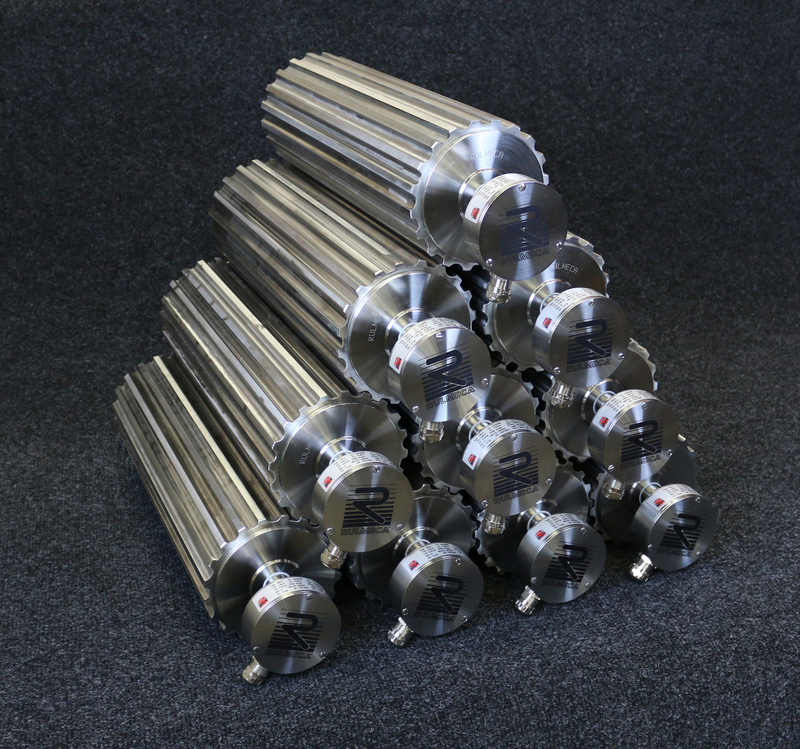 Rulmeca Corporation recently delivered a special batch of stainless steel drum motors to drive positive drive belts. The “Rulmeca Advantage” refers not only to our ability to supply a variety of positive belt drive solutions, but also to our willingness to roll up our sleeves and partner with our customers to help them achieve their desired results. The latest batch of Rulmeca drum motors with profiled stainless steel shells expands the company’s growing capabilities to serve the US food industry. We now regularly supply shells in a variety of configurations to handle products such as potatoes, carrots, sauerkraut, walnuts, corn chips, baked buns, fresh cut vegetables, garlic, watermelon, fish, pork, poultry, and beef. The list of different Rulmeca drum motor configurations includes a variety of types of knurling, including standard diamond, standard straight, and deep knurling rings (see photo). Our development efforts are ongoing and include an active search for the best materials available. These include low-friction hygienic materials such as self-lubricating synthetic polymers. We serve equipment manufacturers directly and end users through a network of independent conveyor component distributors and local service providers throughout the United States and Latin America.